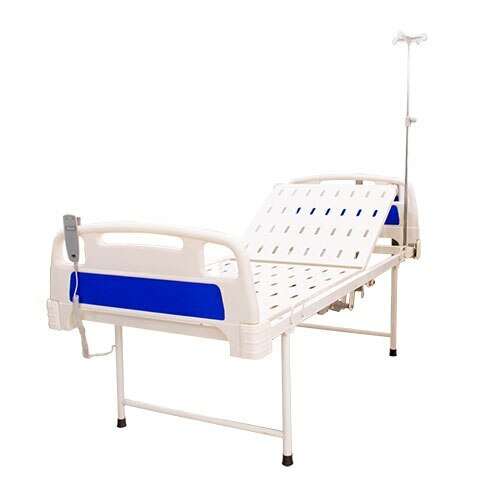 HOSPITAL SEMI FOWLER ELECTRIC BED SIS(2003E) Frame work made of Rectangular M.S Tube 2 Section Top made of perforated M.S Sheet. Back Rest section, manufactured by Screw Handle from Foot End Stainless steel tubular Head & Foot bows with terminated Panels. Four Locations for I.V Rod Overall Size : 198L X 90W X 60H cms. Finish : Epoxy Powder Coated.